← Historic Bluestone Festival on the Waterfront in Kingston! A HEADS UP FROM NEW YORK STATE FESTIVALS! 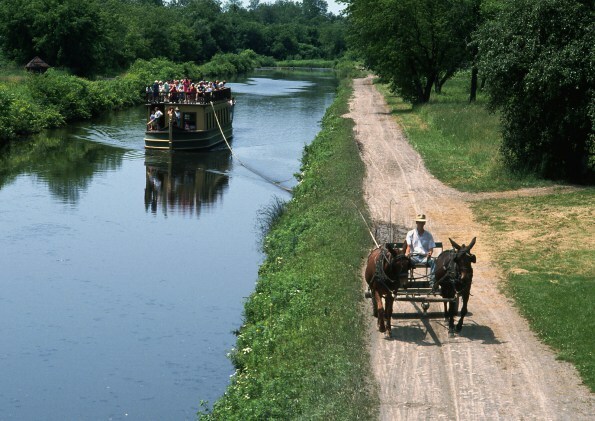 Happy Birthday today to the magnificent Erie Canal! It was completed on this date in 1825. This waterway is the gem of all New York State engineering marvels. Even today it is well worth a ride on the canal route, either by boat or car. All of the little towns have canal stories to tell and they are well worth a short visit. A head’s up for all New York State Festival Fanatics. The biggest Erie Canal Festival takes place in Tonawanda, NY in July! So though it is still 9 months now, make you plans to attend. We hope to visit the festival and report back here to you all next summer. Buffalo Hosts Popular Wine Festival Saturday, April 6! (VIDEO)In "Erie County"
Fairport Celebrates the Erie Canal With "Canal Days Festival" (VIDEO)In "Monroe County"
This entry was posted in Erie County and tagged erie canal. Bookmark the permalink.